Miley Cyrus attended The Women’s Cancer Research Fund’s An Unforgettable Evening Benefit Gala at the Beverly Wilshire Four Seasons Hotel on Thursday (February 28) in Beverly Hills, California. 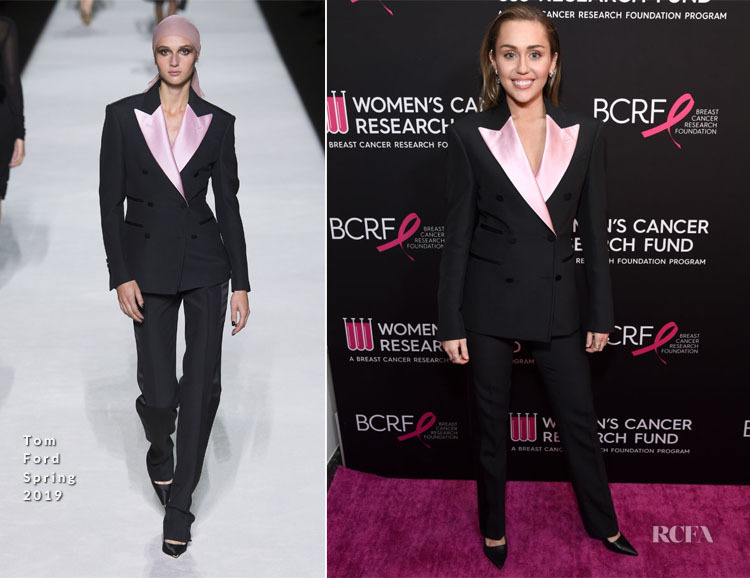 Dressed in Tom Ford Spring 2019, the cut – with a slim-fit menswear-inspired fit – is so sharp, yet glamorous, that it once again leaves me in awe of Miley’s style. 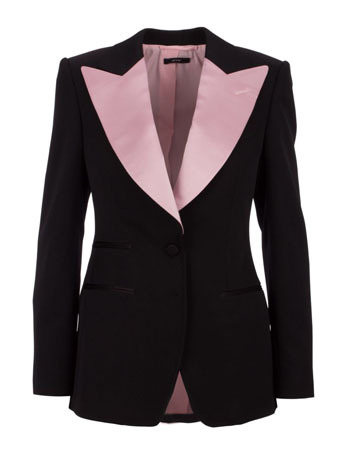 I love how the blazer flaunts contrasting baby pink lapels that add a modern touch to the timeless piece.